Organic molecules in the soil (carbon dioxide,nitrogen, etc). Mars aka The Red Planet fits the classic definition of a planet in the Habitable Zone. 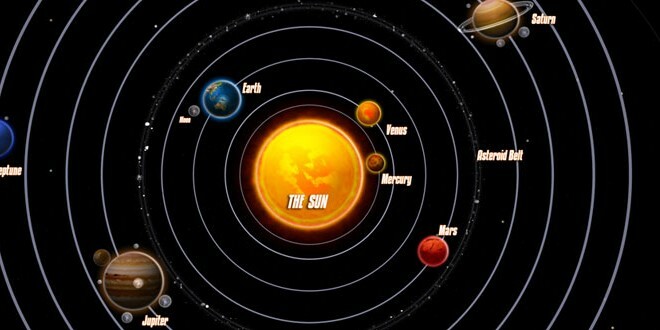 Mars is close enough to the sun to be effected by solar energy, but far enough so water and organic compounds will not be broken down by heat coming from the sun. The Curiosity Rover landed on Mars in 2012 and has found traces of many molecules that could have supported life millions of years ago. No organic life has been found on the planet yet. Life may exist in deep oceans heated by underwater volcanoes. Another candidate for alien life is one of Jupiter’s moons known as Europa. Europa is a little smaller than Earth’s moon, and is believed to have a liquid water ocean below its ice covered surface. Any alien life on this moon may be in these subsurface oceans where temperatures may be warm due to heat released by underwater volcanoes(all hypothetical). The atmosphere of Europa is mostly made of Oxygen, but the temperature at the hottest region of Europa is a freezing −160 °C (−260 °F). The freezing temperatures confirm that any Earth-like life must exist in the liquid oceans and lakes thought to be below the surface of Europa. Gravitational pull of Saturn on its core is a potential energy source. There may be a new form of life based on methane. Titan is the largest Moon of Saturn but is still larger than Mars. It is the only body besides Earth that has clear evidence of stable bodies of liquid on its surface. These stable bodies of liquid are not made of water. The lakes and rivers are made of hydrocarbons.One river is 400 kilometers (250 miles) long. Similar to how we depend on water on earth, life may be methane based in the lakes and rivers on Titan. However promising this sounds NASA says no form of methane based life has ever been discovered (this is still hypothetical). So my question to you is do you think there is life in our solar systems? Are they advanced like us or very primitive like bacteria?